With fires blazing across the American West, hurricanes approaching our coastlines, and floods rising in the Midwest, I am grateful again for the first responders and the thousands of volunteers who leave the comforts of their homes to help others find safety and comfort amid these disasters. For years, my husband was one of those responders, working with a national animal welfare organization. While he now works locally as an emergency manger, for years he trekked off in the wake of floods, tornadoes, and hurricanes to provide assistance or leadership in setting up animal shelters and running search and rescue operations for pets and livestock. His work, like so much in the field of disaster response, relied heavily on a corps of skilled and dedicated volunteers who are willing to leave their own homes and families for a week at a time to travel to disaster sites, work 12-14 hour days searching for, caring for, and, yes, cleaning up after, rescued animals until their owners are found or are able to take them back to a safe and secure home. A story he shared after one of his deployments really stuck with me, as it perfectly illustrates something we often discuss with clients and colleagues when the question of volunteer recognition comes up. His team had just spent two weeks in an area that had been ravaged by floods. His was one in a series of teams that were sent through a national coalition to provide assistance to a local animal shelter. That county shelter was leading the effort to house and care for hundreds of animals whose owners were still unable to return to their flooded or damaged homes. During those final weeks, he along with his staff and volunteer colleagues helped to return animals to owners, find other shelters to take some of the remaining animals, and prepare the emergency shelter that had been in operation for months to wrap up operations. The local shelter manager had been working without a break since the floods began and was able to return to some level of normalcy with the imminent closing of the emergency shelter. On the last night, when it finally sunk in that the prolonged challenges and demands of running the local shelter plus an emergency shelter were nearing their end, the local shelter manager thanked everyone in a brief and moving speech, explaining that she could not find the words to express how grateful she was. 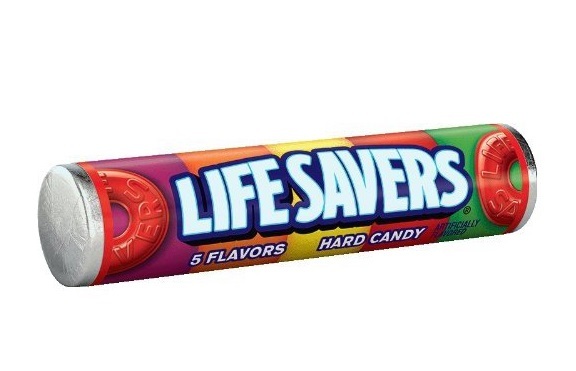 To make her point, she simply handed each of them a roll of LifeSavers candies and explained that this gift represented what each them had been for her: Lifesavers. When we talk to clients and colleagues about the importance of moving beyond traditional volunteer recognition dinners featuring a formal ceremony to hand out pins and plaques to volunteers, we often say that personalized acknowledgment means a lot more to today’s volunteers. Personalized acknowledgment does not necessarily mean more work. Whether it’s a handwritten note, a letter of reference to an employer, a gift card to a favorite coffee shop, or framed copy of a photo from an event the volunteer helped to lead, personalized acknowledgment can be simple yet have far-reaching effects. Every one of the volunteers and staff who helped with the animal shelter I’ve described here knew how valued they were and what a difference they made, and all it took was a heartfelt speech and an inexpensive roll of candy – a roll of candy I can assure you is framed and mounted above my husband’s desk to remind him what a difference his work made in communities he served.